These authentic Disney Vans feature a Mickey Mouse print on the inside. The outside of the shoes has been designed using signature Mickey Mouse colors. 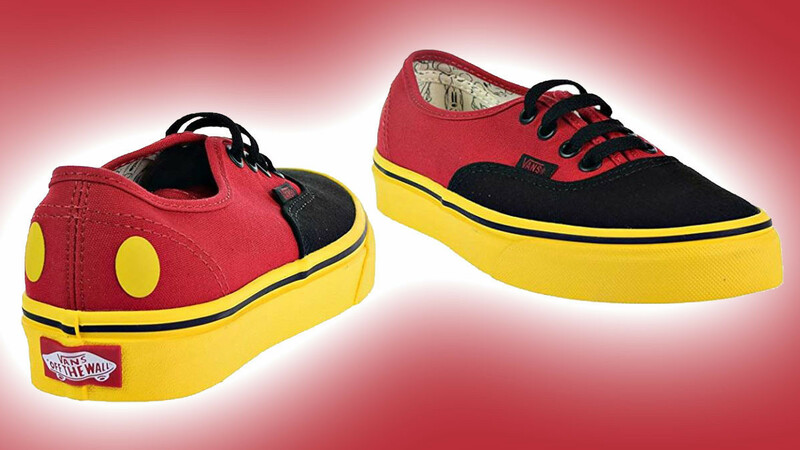 Vans are very popular shoes because they are comfortable, flexible and lightweight. The rubber soles are made up of several layers of rubber. These shoes last for a very long time because the soles are so thick. The thick soles are one of the things that make Vans such a popular choice. They are also popular because interesting colors and prints are often featured on the shoes. Originally they became popular with skateboarders because the soles make them great for riding a skateboard. Currently, they are a popular choice all over the world because of the comfort and the cool designs.